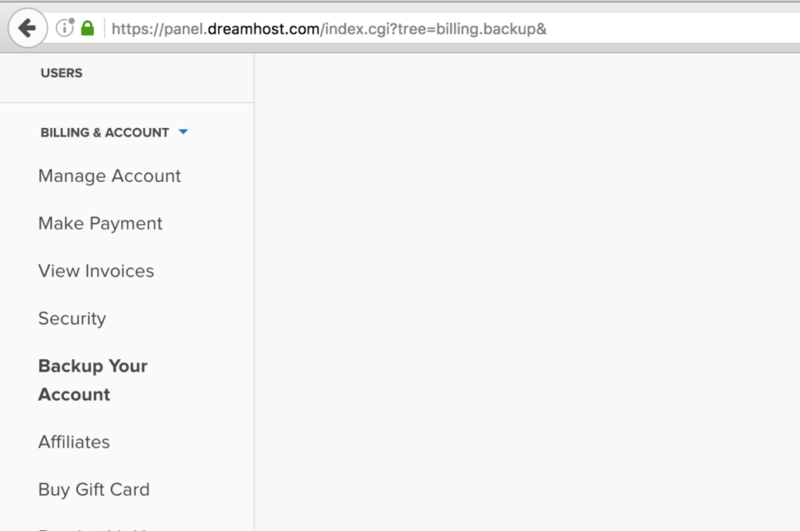 I use Dreamhost. 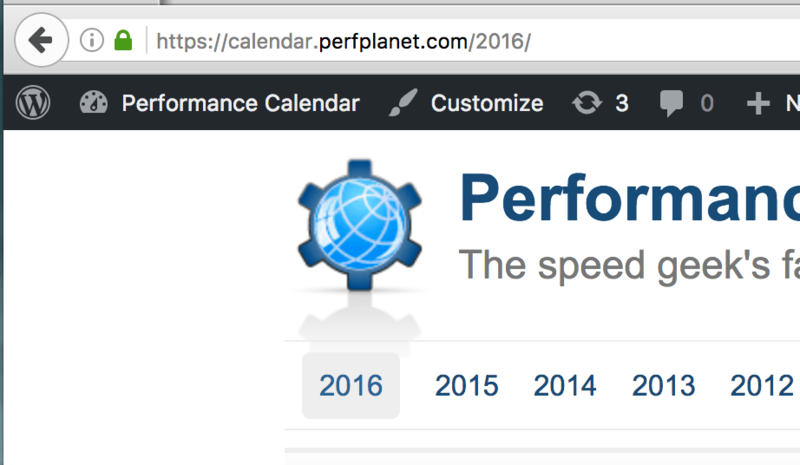 Have been since 2008. 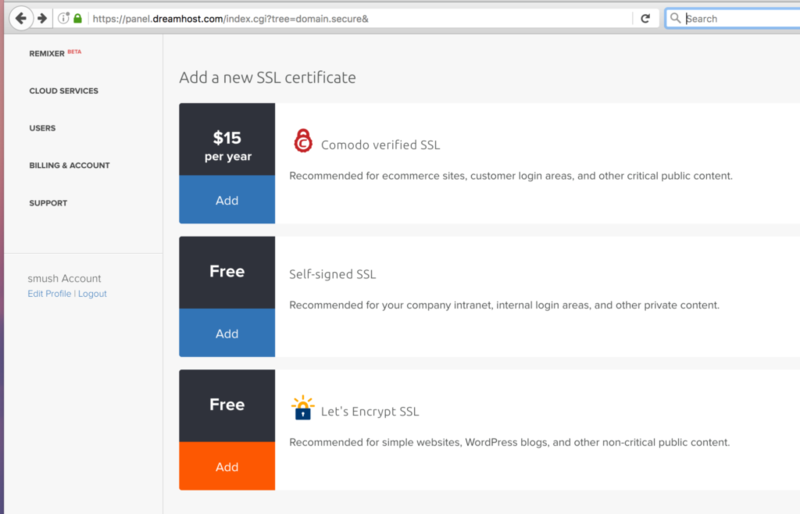 If you're not using Dreamhost... well, go sign up and here's $50 off of the $97 yearly plan. 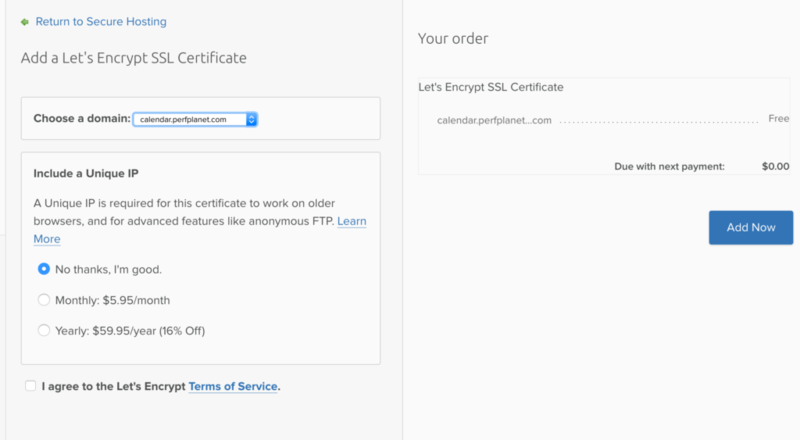 Thanks to Let's Encrypt you can have a free certificate. 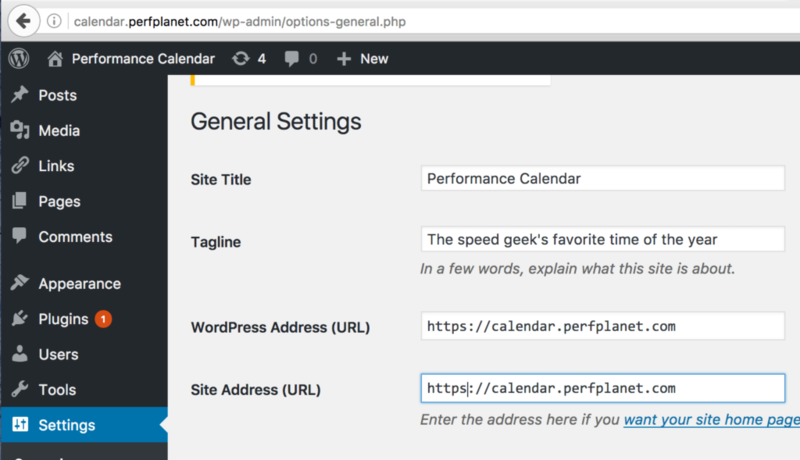 Dreamhost makes it trivial to use. 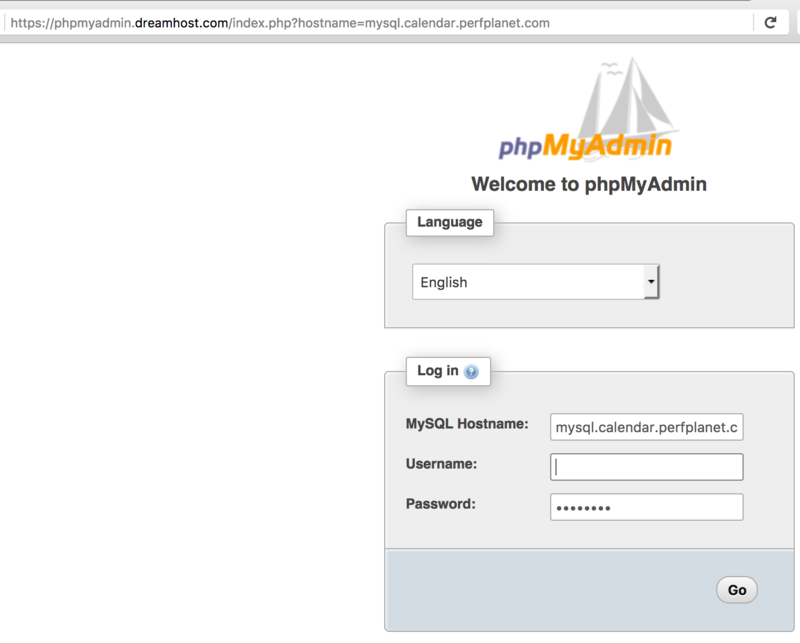 You need phpMyAdmin. 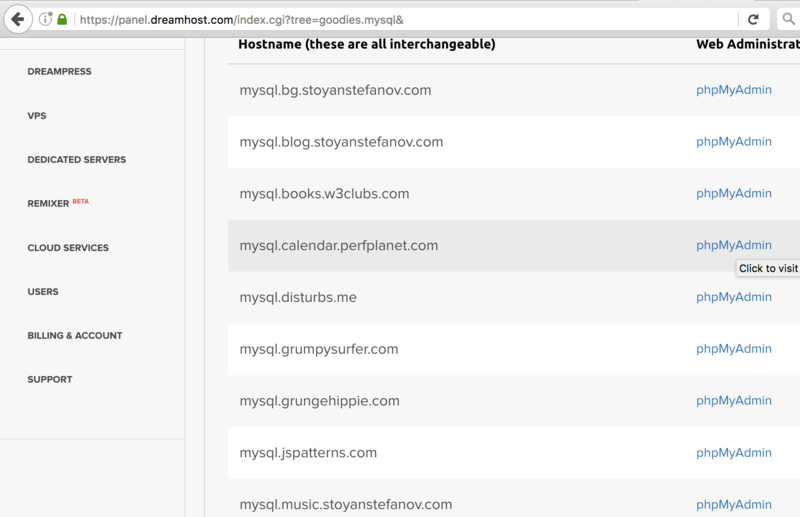 You'll find "MySQL databases" under "Goodies"
All <img src="http://yourdomain and <a href="http://yourdomain need to turn into https. Actually links are optional (if you do the next steps with permanent redirect), but why not? 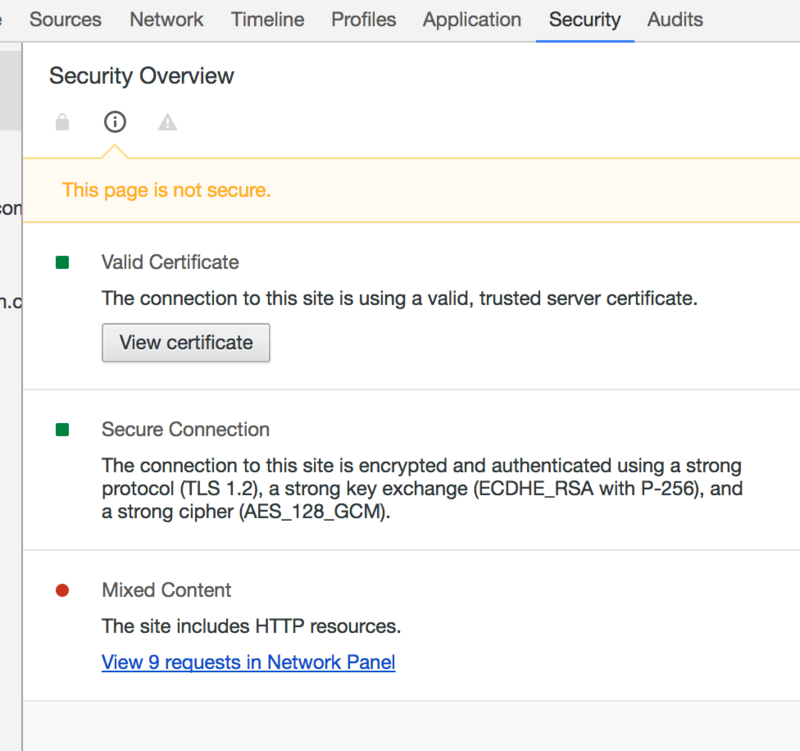 Images are not optional, otherwise loading images over HTTP when the page is HTTPS triggers "mixed content" warning. 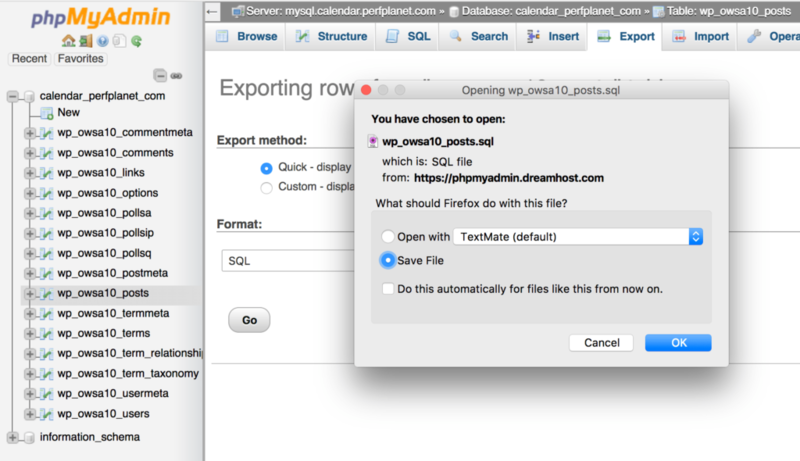 Open the *posts.sql file you downloaded in the previous step in a regular text editor. 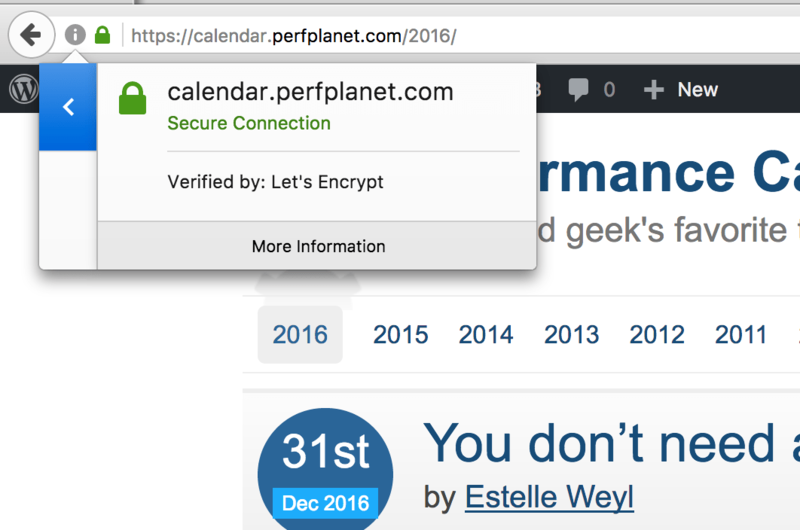 I just did a search/replace of "http://calendar.perfplanet.com" with "https://calendar.perfplanet.com". 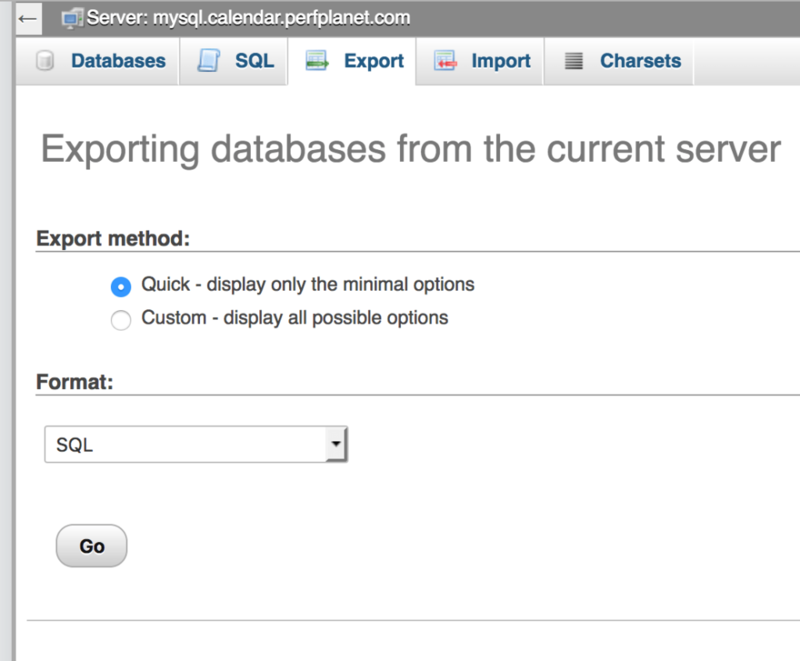 It's possible I've replaced more than img src and a href. But that's ok as far as I know. If you want to be more surgical in replacements... knock yourself out.